Extrabux.com offers a wide selection of Villeroy & Boch coupon codes and deals and there are 12 amazing offers this April. 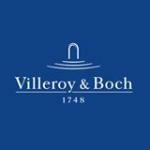 Check out our 12 online Villeroy & Boch promo codes and deals this April and get amazing 60% Off discounts. Today's top offer is :Receive 25% Off All Orders Over $150.